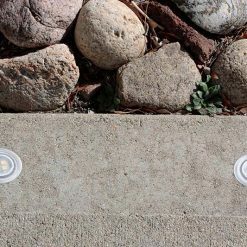 Step and stair Paver Dot™ lights with 10 ft cables cast light with a 30° angle for illuminating hardscape stairs and steps. Embed in concrete, pavers, brick, or stone. Our hardscape stair lights are available in convenient 4 Packs so you can add step or stair lighting to an existing Paver Dots™ Kit or customize your project in combination with other light selections. 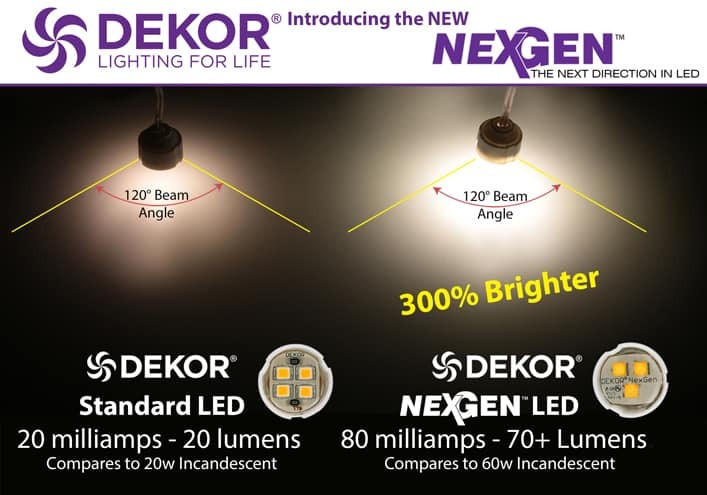 New NexGen™ LED option available. 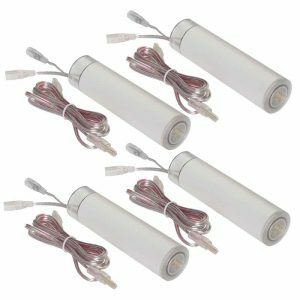 This expandable 4 pack is designed to work in accordance with the complete kit. 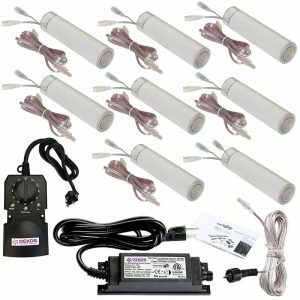 This 4 pack does not include a transformer, transconnect cable, or EZ Photocell Timer. In order to set up this 4 pack alone, additional purchase of mentioned accessories is needed. These tiny lights are the perfect finishing touch for patios, walkways, driveways or pool decks and are designed to be walked upon. They install flush with the surface, are completely sealed, weatherproof, and waterproof. The lights are tough and able to withstand extreme weather: snow, rain, heat, cold, and salt air. Long lasting and durable. Our Paver Dots™ are extremely strong, will not rust, and can handle foot traffic and light vehicular traffic (ex. your car parked on your driveway). 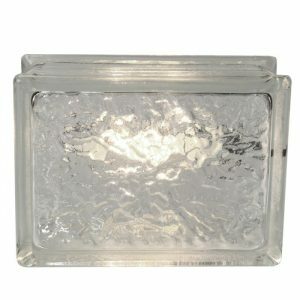 Paver Dot™ transparent polycarbonate covers will not yellow with age. The lights are built to withstand years of “wear and tear” and we stand by our product with our industry leading 10-year warranty. NexGen™ Lighting Option. 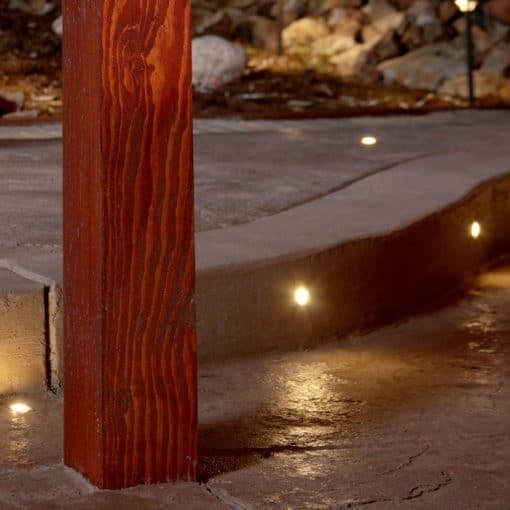 PAVERDOTs may be purchased with our standard LED configuration or with our new 2X brighter NexGen LEDs. CREE LEDs. 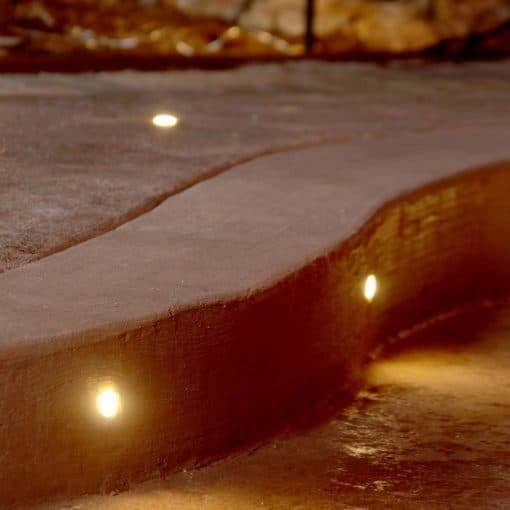 Paver Dots™ are built with high-quality CREE LEDs, known for their super bright light, long life and superior energy efficiency. DEKOR™ is a CREE LEDs Branding Partner. 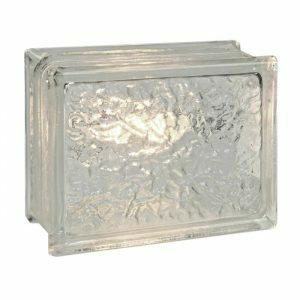 Dimmable warm white light. The lights share the same light spectrum as other DEKOR lighting (3200° K), the ambiance of incandescent lighting. 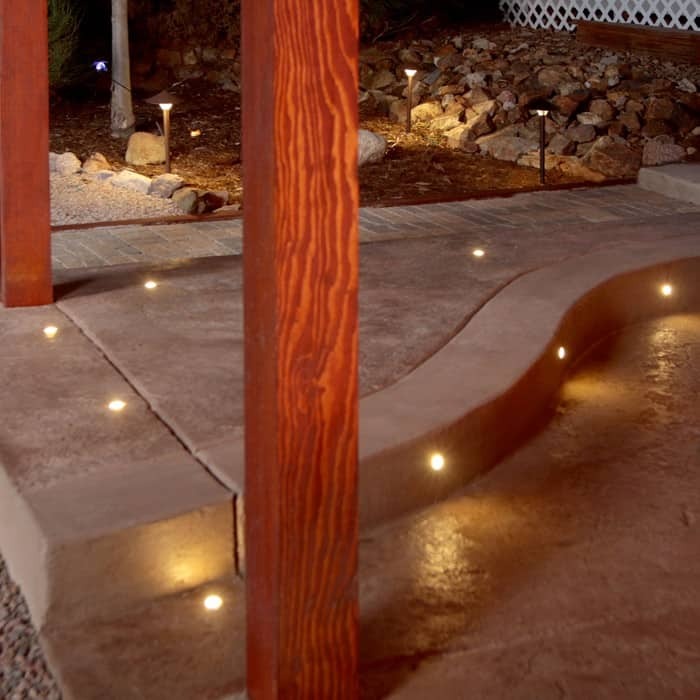 Paver Dots™ are also dimmable with DEKOR’s EZDIMMERWP. Expandable. Our outdoor Paver Dot™ 4 Pack comes with 4 light elements … add lights to a kit or combine with other DEKOR lights to customize your project. PLUG-N-PLAY Connector System. Simplify and speed up your installation. Our Plug-N-Play Connector System is completely self-sealing, removing the need for stripping wires and wire nuts. Connector Cable Length. Lights can be spaced up to 24″ apart (based on 5ft Plug-N-Play cables).And, If you need more space between lights, you can buy the Paver Dot™ 4 Pack that comes with longer (10 ft) cables. Really like the product, Great Great Customer service. Once completely installed I’ll be back for a “5” I’m sure. Download PAVER DOT Install Instructions as a PDF. If you plan to space the lights every 24″ then you need the 5 ft cables that come with this kit. If you space the lights every 85″ then you need the 10 ft cables. 10 Year Warranty when used with a DEKOR™ brand transformer.